Gardeners question time – Nearly…………. 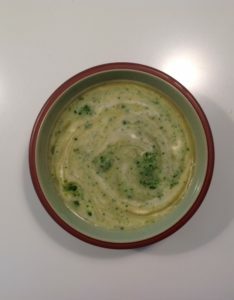 Pat has made this soup – a Delia on-line recipe. She says it is very tasty and easy to make. And here is the soup that Pat made……. looks good, and she and her guests said it tasted good. Do you have recipes to share? We'd love to hear about your own favourite recipes using seasonal produce. We're looking for simple, quick ideas to share, but please make sure you acknowledge your source if it's from a book or magazine. We'll be adding the recipes to the site as we get them. Our March Gardening Party – Sunday March 3rd. 2 – 4 p.m. Please join us.